Flooding in Canadian provinces has resources stretched and needs high. We can help our neighbors in Ontario, Quebec, the Maritimes, and Interior BC. Canadians are quick to step-up to help, and you can assist in big ways and small ways. Your time, your resources, and your compassion are all important during these initial days of distress and crisis. They will be needed in the months of recovery that are ahead for affected areas as well. Flood recovery requires a lot of heavy lifting! Your strong back, some rubber boots, and some heart will put you in a position to head out to an affected area and work alongside those most impacted. Keep in mind, residents are in shock. Even though their property is compromised, it is still their property. Do not assume you have the right to be there, but do not be afraid to ask if you can help. Muster points will be set up by various charities. Find out who’s running an organized effort and engage. If nothing is set up, you can take that initiative yourself and make a difference in your own way. Fridges will need hauling and silt will need shoveling. You will be touching personal items and family memorabilia, therefore treat possessions (even though they’re waterlogged and ruined) with the care you would your own. Home owners will be angry, sad, frightened, and completely overwhelmed. Sometimes a bottle of water and a hot cup of chili go a long way in bringing comfort. Just sitting with a property owner on the curb and letting them have a good vent may be what they need most. Be mindful of your own health if you do opt to provide on-site physical support. 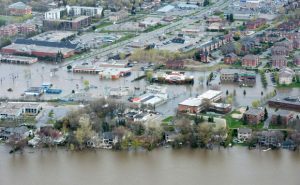 Flooding and its aftermath results in all sorts of health risks. Buildings are unstable. Additionally, mold and waterborne diseases quickly become threats. Barricades are in place for a reason, and you may need to consider wearing protective clothing and face masks when approaching some sites. You can give! Even if you can’t get to the physical locations affected by the Spring floods, local and national charities will be ready to receive your gift. In time, it is probable that our government will match donations (if that’s not already in place it’s typically just a matter of time). For that reason, you may wish to hold off on your gift giving until that is in place. 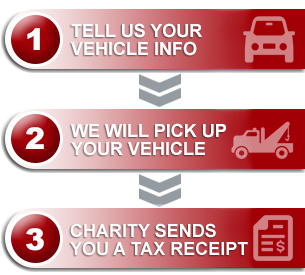 Through our vehicle donation program here you will have the option to designate your gift to a charity that is aiding in affected areas. If the choice is not apparent on your donation form, just ask! We’ll be happy to assist. Our team here is full of compassion for our fellow Canadians across the country. Stay dry and safe, All!